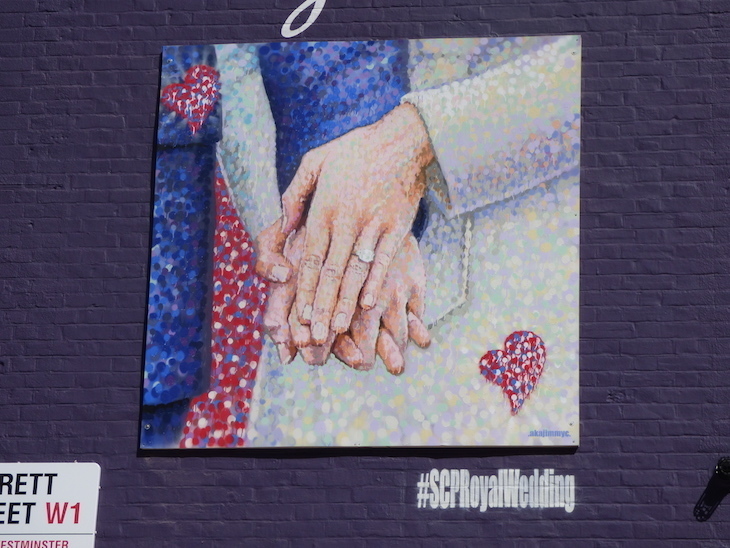 With wedding bells due to ring this weekend, Royal fever is ramping up in London — including a new mural of the happy couple, unveiled near Oxford Street last week. Or at least, it's rumoured to be of the Royal couple. 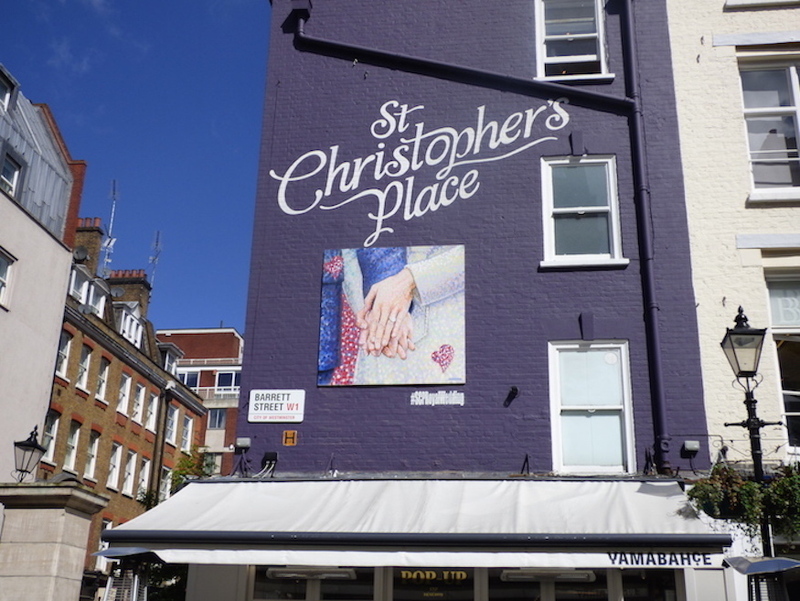 St Christopher's Place commissioned the mural of Prince Harry and Meghan Markle — by street artist James Cochran AKA Jimmy C — for a wall previously adorned by a portrait of the Queen, to celebrate her 90th birthday in 2016. This new mural, we were promised, would be "inspired by the infamous portrait celebrating the couple's engagement". Nice, we thought. A happy portrait of the pair smiling in Kensington Palace Gardens would certainly bring some cheer to the pedestrianised shopping street. 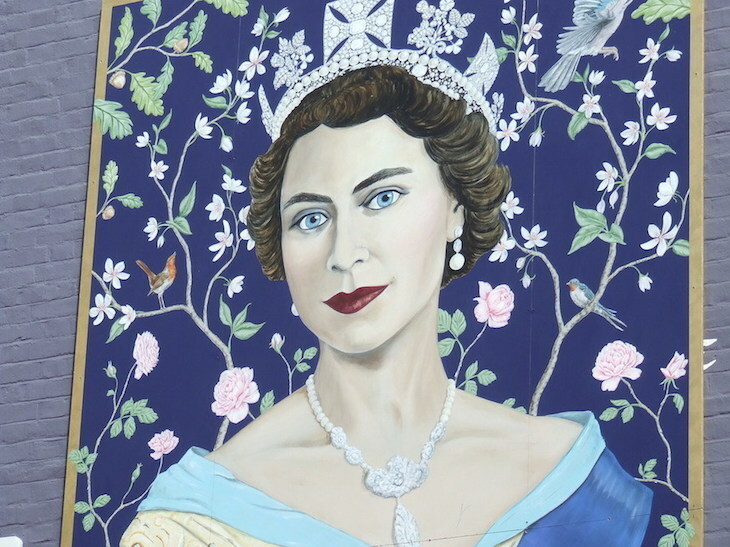 Here's that portrait of the Queen from St Christopher's Place in 2016, which was created by a different artist, portraitist Frederick Wimsett. The plants and birds in the background are all British species — a lovely touch on a piece that's pleasant to look at while people wander through the area. It couldn't be more obvious that it's Brenda — albeit in her younger days — if they'd licked a giant postage stamp and stuck it up there. Rather than a depiction of Harry and Meghan, newly engaged for the world to see, we've just got their hands, intertwined with the rings. Yes, that coat features in it, and yes, it's got Jimmy C's signature pointillist drip painting style, but does it highlight St Christopher's Place as "a must-visit shopping and dining destination", as the press release suggests? We think not. Perhaps you disagree? Let us know in the comments.